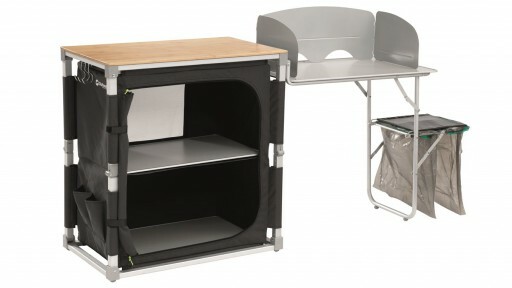 The ultimate kitchen stand for the campsite, the Outwell Padres Kitchen Table and Side Unit is everything and more you could want out of a kitchen stand. 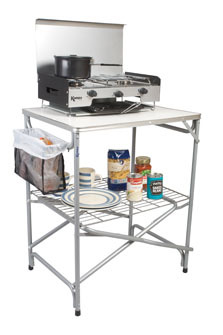 The ultimate kitchen stand for the campsite, the Outwell Padres Kitchen Table and Side Unit is everything and more you could want out of a kitchen stand. 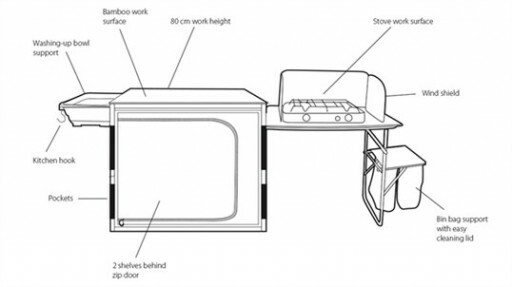 It opens up in seconds to give you a large bamboo work surface, side table, windscreen, pull-out washing-up bowl holder and lidded rubbish bin. The Padres Kitchen Table helps you prepare food, cook, wash up and clear away with ease, making you wonder who you coped before. 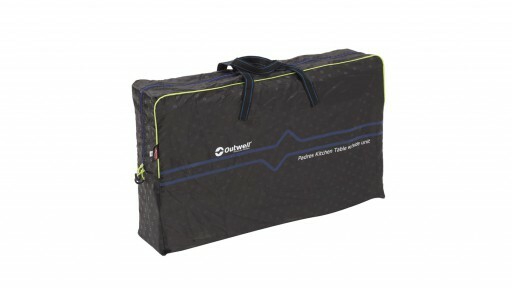 The handy side pockets are ideal for utensils and condiments and when not in use, it simply folds down into the carry bag. 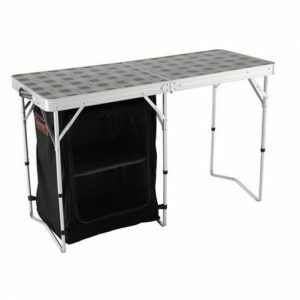 Coleman 2 in 1 Camp Table And Storage This is a dual-purpose table and storage unit. It combines a hygienic antimicrobial surface with convenient inbuilt storage. 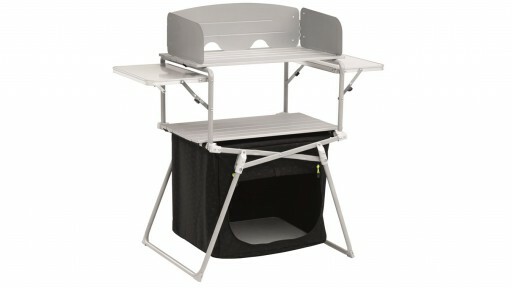 Ideal for preparing food or dining al fresco, the integrated cupboard promises a clutter-free campsite.